In September, Damian Roderic “Ric” Todd was sworn in as the Governor of the Turks and Caicos Islands, succeeding Gordon Wetherell, who had served as governor since 2008. TCI, which saw its self-government suspended by the British government in 2009 after allegations of widespread corruption on the part of local politicians, has been working to move the country forward, both politically and economically, led by Todd. To learn more, Caribbean Journal talked to Governor Todd, the former British Ambassador to Slovakia and to Poland, about the country’s economy, the progress of the team prosecuting corruption and the possibility of elections in 2012. How have your first few months been in TCI? It’s been quite a fascinating time – I was new to the Caribbean, and new to TCI when I arrived here in September, and I’ve found it quite fascinating. 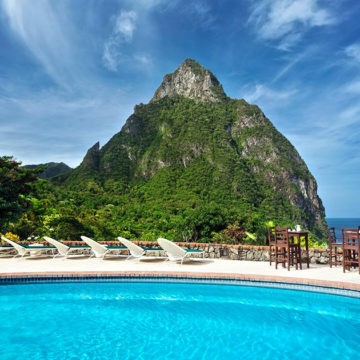 The islands are very beautiful – I’ve been able to travel around eight of them. I’ve met lots of people, and everyone has been incredibly friendly and welcoming, and we have had a whole range of difficult and important issues to deal with. At the end of the year, I feel quite optimistic about the future prospects for TCI in 2012. How would you describe the financial position of the country right now? I think the TCI has been through a very difficult time over the last three years, partly the legacy of Hurricane Ike, partly the global recession and partly the consequence of very bad mismanagement of the country under the previous elected government. The last couple of years have been very tough for people – they found it difficult, there have been price rises, high unemployment, lack of growth. I quite understand that people on the islands feel it’s been difficult, but at the same time, we can see that there are really reasons for optimism. For example, air passengers are up 15 percent, and the tourism sector is growing very strongly. We managed to attract some very good examples of foreign direct investment, in the new $15 million private airport terminal in Providenciales. We can see from government receipts that we’re getting some growth in the business community. So while things are still pretty tough for a lot of people, I think overall he economy is growing, and there’s pretty good reason to think 2012 will be good, and I think in part it’s because the tourism sector is so important, and the tourism sector is in pretty good shape. How can the tourism sector improve further? 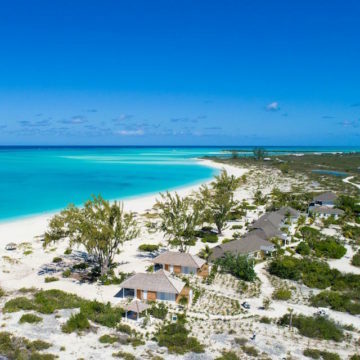 I think the most effective way of marketing the country as a tourist destination is the package TCI has to offer – it’s a beautiful country, reasonably conveniently located, with a range of good facilities. It’s safe, it’s secure and it’s very friendly. So you take all those together, and you have quite a good package. The Provo airport, which we finished last year, has led to more airlines coming here, and actually on Saturdays you can get 22 flights coming in from, for example, North America. That’s what sort of potential there is in this market. I think clearly tourism is a global business, and it’s competing not just with Antigua and Barbados, but also Mallorca, the Seychelles and Bali. So you can never be complacent. You need to keep on working on your tourism attractions. But I think it’s a great asset that tourists can come here from North America, use the dollar, speak English – the police are very effective, there’s no gun crime, there’s not a big drug problem. People are walking the streets, walking around hotels and restaurants. I think that’s a great asset. Are there any areas of the economy which you believe are untapped? I think there is hope for the TCI in financial services, a lot in agriculture fishing – these are things that are all worth doing. But to be honest, tourism is always going to be the mainstay of this economy, so that’s what the focus needs to be on. Certainly, we’ll do what we can to make this a well-regulated, respected and serious financial services sector. But the idea that TCI should somehow dash for the bottom of the global financial services market would be bad for the reputation of the country. I think that we can do more with agriculture, more with fishing, but they will always be valuable niches of the economy – from the mainstay, which is tourism. What has been the progress of the SIPT? You’ll recall that as a result of very widespread suspicions of corruption and bad behaviour by the previous government, a Commission of Inquiry was set up, chaired by Sir Robin Auld, and which made a number of recommendations about what should be done, highlighting the problem of systemic corruption. So as a result, we set up the Special Investigation and Prosecution Team (SIPT), with prosecutors, police and legal and financial experts, and they have been working very hard for 18 months on what was a complex, multifaceted inquiry. As a result of that, we have now charged 11 people, and there may be more charges in the new year. I think that in the courts next year, the trial will begin. The trial is very important, because it’s a chance to demonstrate to the people of the islands what was going on. It’s a chance to remind people why the country is in the mess it’s in. I will stress of course that the crimes are merely alleged crimes – no one has been found guilty, and there is no presumption of guilt. But the judicial process if a very important part of the island moving forward. What are the major priorities for the government moving forward, and how would you rate the chances of having elections next year? We’ve set out eight milestones of things we think need to be achieved, including some changes in Crown land policy, the election process and fiscal surpluses. We at the TCI government are working very hard to achieve those milestones, and hope to be able to have elections by the end of the year, and we think that is achievable. There are a range of issues which any country faces that can only really be tackled and dealt with by an elected government, and that’s true of the Turks and Caicos.